Finally, the much requested follow up to the canceled Dreamcast games deal I wrote a few weeks ago. For those who missed the first, I am taking a look at games that were slated to be released for Sega’s last system that got the axe for one reason or another (well, probably for the very specific reason that the console was discontinued). Special thanks to Christian for handling a few of these. Even I get tired of making stuff up about games I’ve never heard of. The first game in the best monkey based Marble Madness clone series. Would it have been good? The game didn’t rely on great graphics and the Cube version was indeed fun. It would have been an excellent Dreamcast game. Not as well as it did because the Dreamcast simply didn’t sell as well, but yes, it would have sold nicely. Would it have come out? Since it was a Sega game, Super Monkey Ball would certainly have landed on the Dreamcast if the system had lasted. The better question is would it have sold well enough to warrant sequels? 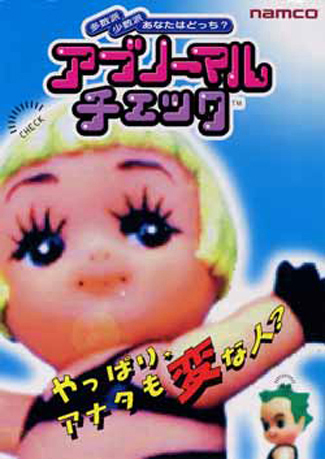 It may have been a blessing for the series that Sega pulled out of hardware and it makes me wonder if other quirky titles like Chu Chu Rocket would’ve turned into franchises if they weren’t doomed to die on the Dreamcast. Old school action game largely ignored by earth. For fans of this style of difficult game, sure. No. No version of this game will ever sell. Yes. Sega likes to support Sega systems. The fourth entry in Sega’s famed but vanilla (no fireballs, axes or blind characters with claws) series Virtua Fighter. Soul Calibur demonstrated that the Dreamcast was more than capable of running a top notch 3D fighter. Virtua Fighter 3 sucked, though, so it’s possible Sega would’ve ported this game over just as poorly. The sales would’ve looked much worse than the PS2 version’s sales. This is not just because the PS2 sold 100 billion units, but because the Dreamcast flopped in Japan and Virtua Fighter only sells well in Japan. Another Sega title, so yes. It probably wouldn’t have looked as pretty, though. A new Toejam and Earl game that followed the tradition of the original game. Interviews with the game’s creator indicate that some execs pushed for the hub world mechanic and he thinks they should’ve been left out. It’s possible this exec was someone in Microsoft or someone in Sega he wouldn’t have dealt with if the Dreamcast survived. 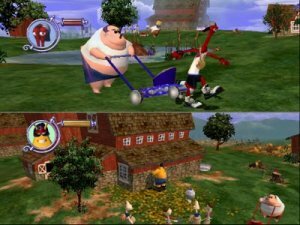 As such, it is possible that in this alternate reality scenario Toejam and Earl 3 would have been better than the Xbox version. I like those odds. Would it have sold? Not really, but there must have been more Sega faithfuls who would’ve bought it for the Dreamcast than the Xbox. Film Noir inspired shooter that helped introduce “Bullet Time” to games. To this day it is still one of the best implementations of the mechanic. Max Payne had some problems, such as a few out of place dream sequences and eventual repetition – but it was a fine, gritty action game for its time. Still, the Dreamcast hardware may have been a stumbling block. Tough to say. The game sold fantastically on the Playstation 2, but for some reason MP on the Dreamcast doesn’t seem like the right fit among the rest of the console’s library. Hell no. The game was graphically potent for its time. While the PS2 port was serviceable, the PC version blows it out of the water. If they could even get the game running on the Dreamcast, I’m not sure if it would have been worth it. 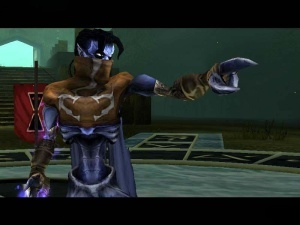 The sequel to Legacy of Kain: Soul Reaver, which was found on the Dreamcast and was considered the definitive version of the title. I haven’t actually played it, but I have never heard excessively bad things about the Soul Reaver games. Definitely would have been a pick me up near the end of the Dreamcast’s life. Yes. The first game seems to have done well, and along with Shenmue 2 many DC fans were holding out for this one, if for no other reason than to prove that the DC could be host to games that were graphically competitive to the PS2. It came so close! Like Shenmue 2, Soul Reaver 2 was canceled at the last minute for American Dreamcasts, and brought to another console instead. In the end it was another crushing reminder that the console’s death would not be pleasant and lingering. This game was actually known as Project Revolution when it was developed for the Dreamcast. 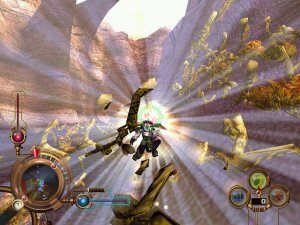 The system was the most powerful console on the market for a brief period and the developers of the game wanted to show off a new mechanic called “re-flex”, which was later renamed “geo-mod” after the beta was ported to the PS2. Yes. It’s possible it would have been better than the retail version we got because the Dreamcast supposedly handled loading better than the PS2 for this specific game. Also, an 8 player online mode was planned for Seganet. I don’t think it sold that well for the PS2, so probably not. It’s hard to say. The original developers are not the developers (Talonsoft) who released it for the PS2 (Volition). Talonsoft was bought by Take 2 in 2000 and later shut down. Take 2 didn’t end up with the rights to Project Revolution, though, those went to THQ. Without more information I am afraid I cannot untangle this web, but for the sake of being upset that the Dreamcast was canceled, let’s say it would have come out and been the best game of all time. Gunvalkyrie was already almost unplayably complex on the more robust Xbox controler. I’m trying to imagine playing the game with just one analog stick, and it really would have been a nightmare. Did anyone ever show the game in demo form to see how it played? Can you even click in a Dreamcast analog stick?